For a word that isn’t considered profane and doesn’t stem from racial, sexual, or gender difference, the word “cult” is awfully radioactive. It has a solidly objective definition based on a collection of traits including a top-down structure, an over-reliance on second-hand revelations, and an us-against-them worldview rooted in intense depersonalization. But “cult” is so loaded and judgmental, the people to whom the term most applies consider it fighting words. It’s used more often to describe fitness brands than religious doctrines, and all too often cults only gain broad awareness as a result of a gut-churning tragedy. 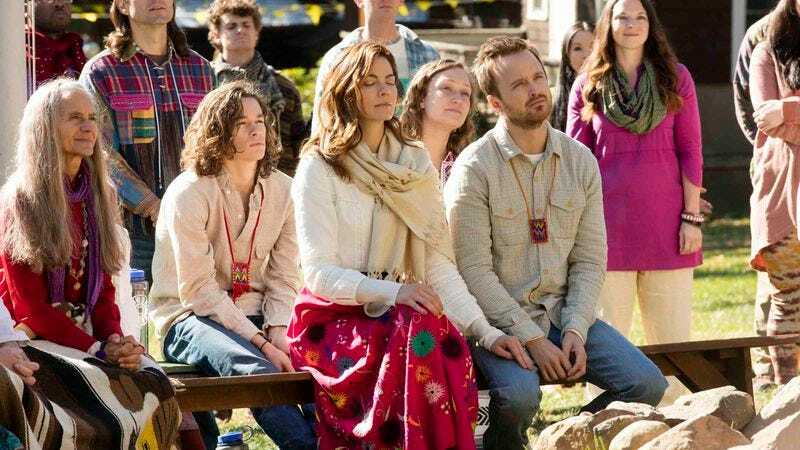 The Meyerist Movement, the religious community in Hulu’s solid new drama The Path, is a cult straight out of an FBI textbook. They live on a bucolic compound in upstate New York and refer to outsiders as “ignorants.” They pride themselves on honesty without exception, deny themselves modern creature comforts, and ignore all music produced after the late-’60s folk revival. In fact, they have their own bland, acoustic worship song, “Garden In The Sky,” which describes how the Meyerists’ founder climbed a white-hot ladder to enlightenment without burning his skin. Yet despite such obvious warning signs, there’s something vaguely inspirational and seductive about the Meyerist Movement, and by three episodes in, watching The Path begins to approximate the experience of being absorbed into a cult. The smartest of many smart choices from The Path’s creator, playwright Jessica Goldberg, is the Meyerists’ position on the spectrum of extreme faith between benign zealotry and violent mayhem. The movement combines L. Ron Hubbard-type mythology with drug-fueled shamanism and the more unsettling characteristics of doomsday cults, making the Meyerists similar to Scientologists except that the institutional malice is only the second-most terrifying thing about them. The group exists a stone’s throw beyond the point where this kind of feverish belief goes from being obnoxious to potentially fatal. It’s a tricky balance to achieve, and while the Meyerists become more sinister over time, The Path spends most of its 10-episode first season in the gray area where personal faith becomes a public concern. The Path is first and foremost a family drama, hence the involvement of executive producer Jason Katims, who proved his skill at depicting messy, tight-knit families with Friday Night Lights and Parenthood. Here, there are dueling patriarchs: Cal (Hugh Dancy), the true believer who’s been entrusted with the care and maintenance of the organization while its founder is in Cuba, where advanced-stage cancer is ravaging his body, and Eddie (Aaron Paul), whose faith is tested as he delves further into the Meyerists’ increasingly esoteric doctrine. Eddie is to the Meyerist Movement as Paul Haggis is to Scientology since hearing the infamous Xenu origin story, the budding apostate who got surprisingly deep into the mythology before finally calling shenanigans. Eddie’s wife Sarah (Michelle Monaghan), who shares a romantic past with Cal, becomes torn between men as their commitments to the faith become polarized. The pilot opens with the arresting image of wreckage left behind by tornado, a chaotic scene into which a team of eager Meyerists charges to attend to the victims. Some of those victims, including perpetually sad-eyed Mary (Emma Greenwell), are absorbed into the movement, if only because they have no place else to go. Mary becomes the audience surrogate as she gets a hasty introduction to Meyerism. 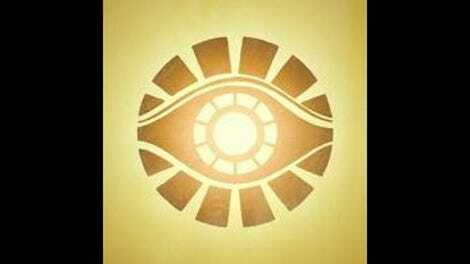 Meanwhile, Eddie is at a shamanist retreat in Cuba having a revelation that compromises his faith. The pilot is placid and bordering on formless, but no less spooky for it, not unlike Sean Durkin’s cult thriller Martha Marcy May Marlene. It’s both a relief and a slight disappointment when The Path starts to look more like a television show in the second episode, when Rockmond Dunbar first appears as Abe Gaines, a federal agent who goes from investigating the group to infiltrating it. The law enforcement component isn’t obtrusive, but it’s prominent enough to make The Path feel more conventional than it should. The most interesting episodes are the ones that uncover more about the cult’s mythology and its lasting effect on the Meyerists’ hierarchy. The Path is at its best when it’s a claustrophobic slice-of-cult-life, and the cops-and-robbers element takes the show too far out of bounds. The compound isn’t where the action is, but it’s where the knottier themes and more nuanced performances are. Aaron Paul, whose guttural crying is unparalleled, gets to show off that talent early and often, though Eddie’s emotionality isn’t quite as extreme as Jesse Pinkman’s. Dancy, on the other hand, is playing a character with the same bared-teeth intensity as he displayed in his last TV gig. Monaghan and Greenwell do terrific work too, arguably better than that of the men because The Path is stocked with woefully underwritten female characters while the brooding men get all the shading. Greenwell deserves special notice for her performance as Mary; as with her performance in Shameless, she expands her eyes to Margaret Keane proportions and becomes childhood trauma personified. Despite its flaws, The Path builds one hell of a foundation for seasons to come. It demonstrates the potential to grow deeper and more rewarding as it matures, like any drama Katims has been associated with. Should The Path make it to, say, a third season, it could be among the contenders for the unofficial title of best drama on television. For now, it’s a mustard seed.